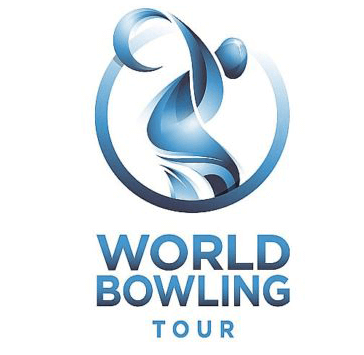 The World Bowling Tour is the major professional tour that unite bowlers, both men and women, from selected major professional and amateur organizations through a series of events. It is organized by the World Bowling. The WBT Tour’s marque event is the WTBA World Championships. Other events under the WBT include all the PBA Tour major tournaments, as well as other WTBA-sponsored tournaments held worldwide. The season-ending World Bowling Tour Finals feature the top three men, and top three women in the World Bowling Tour points rankings. The finals for the 2018 WBT season will be contested at the International Training and Research Center in Arlington, Texas, Sunday, January 6, 2019 for airing on FS1 on Sunday, March 10, at 10 p.m. EST. The points system still is based on a continuous two-year cycle, where points include every event from the previous two year format. 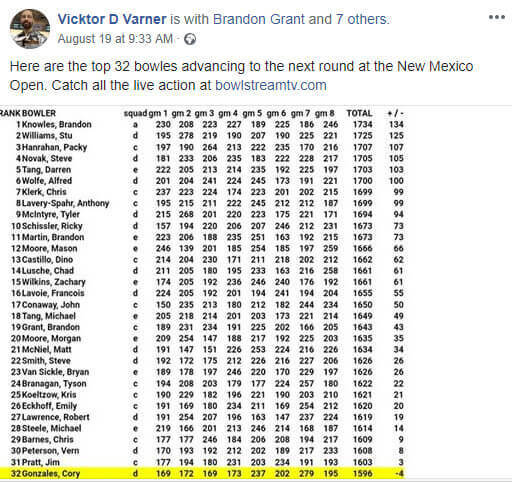 The top three men and top three women in the annual points list will compete in the season-ending World Bowling Tour Finals, presented by PBA. The finals for the 2018 WBT season will be contested at the International Training and Research Center in Arlington, Texas, Sunday, January 6, 2019 for airing on FS1 on Sunday, March 10, at 10 p.m. EST. 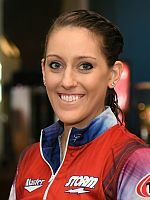 Danielle McEwan, Liz Johnson, both USA, and Daria Pajak of Poland led the women’s ranking of the 2018 World Bowling Tour to qualify for the season-ending finale, which will be contested at the International Training and Research Center in Arlington, Texas, Sunday, January 6, 2019 for airing on FS1 on Sunday, March 10, at 10 p.m. EST. 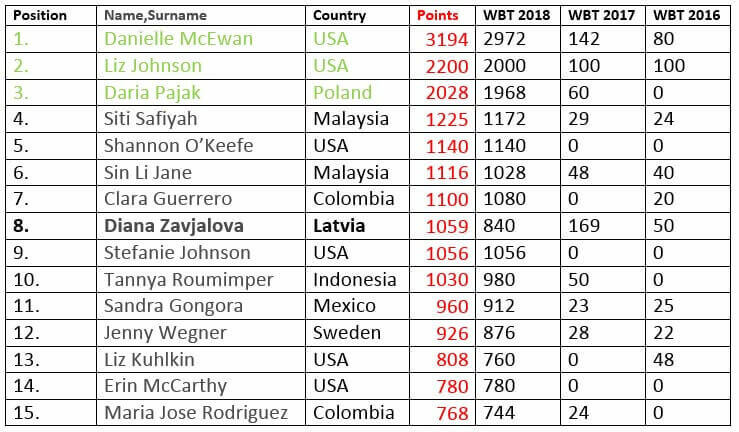 Only three women received points in the last two events for the women this season, Rocio Restrepo of Colombia was the lone female competitor in the Tulsa Open (WBT #11), while Pajak and McEwan were the only women who qualified for the U.S. Open (WBT #12). McEwan (right and featured photo) cashed ranking points in 10 out of 12 events for the women in 2018 to lead the rankings by a sizeable margin and to earn the No. 1 seed for the TV show in January. The four-time Professional Women’s Bowling Association Tour champion, who won the PBA/WBT Thailand event, led this year’s field by 972 pins with 2972 total points. 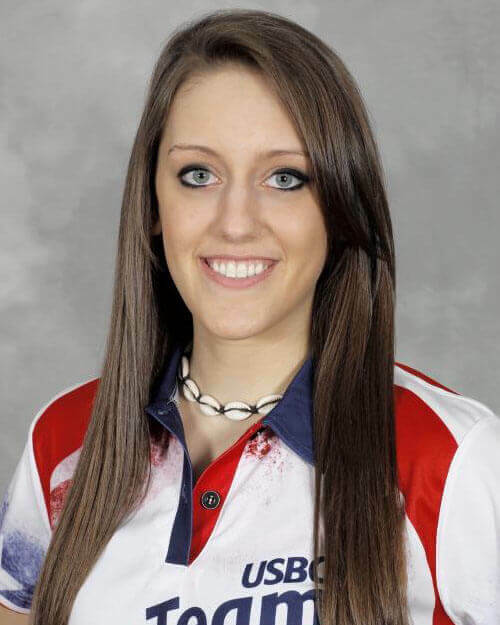 Three-time PWBA Player of the Year (2015-2017) Johnson (left), who was second with 2000 points, will meet third-placed Pajak in the opening match of the women’s finale. Pajak (right), the 2017 PWBA Rookie of the Year, was just 32 points behind Johnson with 1968. The trio also finished atop the two-year rolling point list, which includes all events in 2017 and 2018. McEwan led the way with 3114 total points, Johnson was second with 2100 and Pajak third with 2028. Siti Safiyah of Malaysia was fourth with distant 1201. The World Bowling Tour 2018 concludes with 2018 CGSE • Million Tinkle World Men Championships, a WBT Tier 2 event for men only, which will be held at the SCAA Bowling Center in Hong Kong, China, Nov. 23 to Dec. 5. The 2018 WBT schedule featured 13 stops, one each in Germany, South Korea, Sweden, Thailand and Hong Kong and eight stops on U.S. soil. Due to an agreement between World Bowling and the Professional Bowlers Association (PBA), World Bowling Tour tournaments award a PBA Tour title if the winner is a PBA member (who doesn’t accept handicap pins). 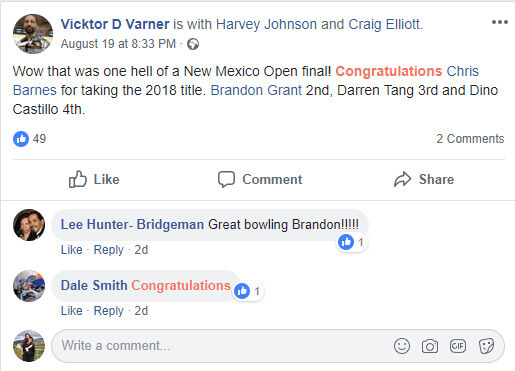 When an event is U.S. based and not a PBA event, no PBA title can be granted. In 2018, World Bowling has introduced a three-tier system. Base points range from 100 points for first place to 24 points for 50th place. In Tier 1 events (must have more than $200,000USD prize money), athletes receive six times the number of WBT Ranking base point, in Tier 2 events (between $100,000 and $200,000) four times and in Tier 3 events (between $50,000 and $100,000) two times. Men and women compete for points to earn places on the World Bowling Tour rankings. The points system still is based on a continuous two-year cycle, where points include every event from the previous two year format. The top three men and top three women in the annual points list qualify for the season-ending World Bowling Tour Finals, presented by PBA. The finals for the 2018 WBT season will be contested at the International Training and Research Center in Arlington, Texas, Sunday, January 6, 2019 for airing on FS1 on Sunday, March 10, at 10 p.m. EST. 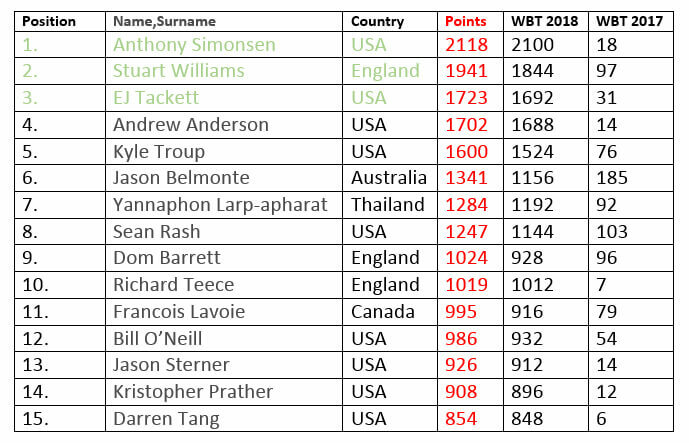 Anthony Simonsen of the United States, England’s Stuart Williams and EJ Tackett, USA, finished the 2018 World Bowling Tour season atop the men’s leaderboard to claim the berths in the 2019 World Bowling Tour Men’s Finals that will be contested on Sunday, Jan. 6, at the International Research and Training Center in Arlington, Texas, for broadcast on FS1 on March 10.The last event of the WBT season, the all-events standings in the 2018 World Men Championships (tier 2 event) in Hong Kong, China, affected only the race for third place since Anderson and Williams had locked up first and second place already after the previous event (U.S Open). Simonsen (featured photo and right) led the two-year point ranking with 2118 points and also the ranking for 2018 with 2100 points. Williams was second in both rankings with 1941 and 1844, respectively. Neither Simonsen nor Williams competed at the World Championships. 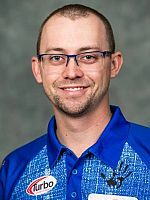 Tackett (left) and his fellow Team USA members Andrew Anderson and Kyle Troup battled it out for the third spot in the 2018 ranking which determined the finalist for the 2019 World Bowling Tour Men’s Finals. Tackett won the gold medal all-events gold medal to claim the third spot in both rankings with 1723 and 1692. Anderson (right), who won the silver medal, finished fourth with 1702 and 1688, just four pins behind Tackett. Troup (left) was fourth in all-events to end the season in fifth place with 1600 and 1524. Jason Belmonte of Australia, who did not compete in Hong Kong, slipped from third to sixth place in the two-year ranking with 1341 and seventh in the 2018 ranking with 1156. Yannaphon Larp-apharat, who bowled for Thailand in the men’s worlds, overtook Belmonte to finish sixth with 1192. 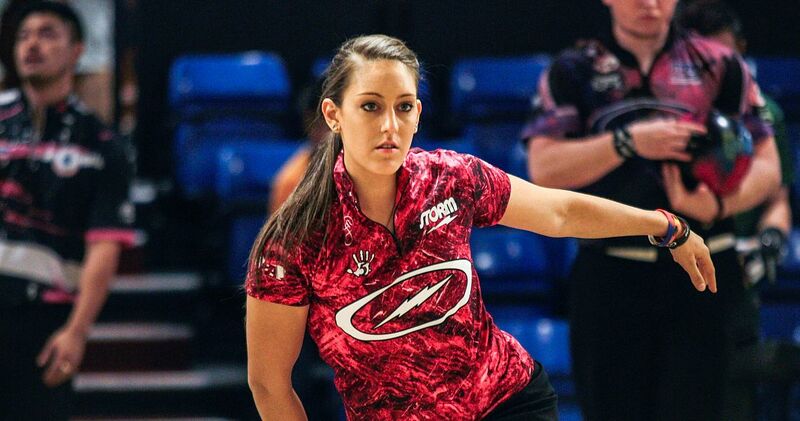 The WBT Women’s Finals, presented by the PBA, concluded already with the U.S. Open. The 2019 World Bowling Tour Women’s Finals will feature Danielle McEwan, Liz Johnson, both USA, and Daria Pajak of Poland. World Bowling Tour 2019 schedule. 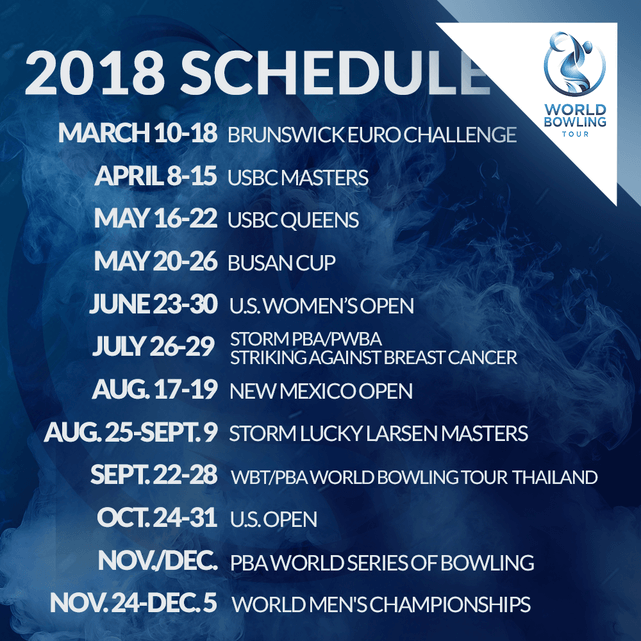 World Bowling Tour 2018 schedule. 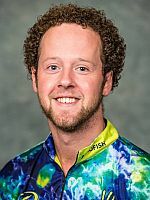 Kyle Troup of Taylorsville, North Carolina, toppled defending champion Jason Belmonte of Australia, 248-232, to win his third career PBA Tour title Sunday in the finals of the 2018 Storm Lucky Larsen Masters. 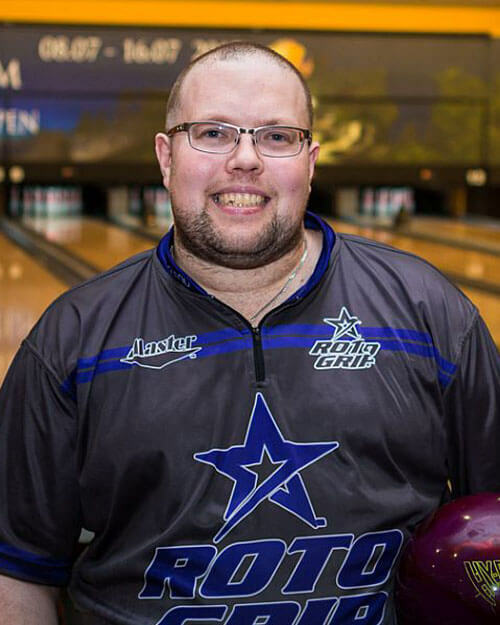 Troup, who, like Belmonte, throws the ball with a two-handed approach, finished off Belmonte in the final frame to claim the title at Baltiska Bowlinghallen in Malmo, Sweden. The event was also part of the European Bowling Tour and World Bowling Tour. The championship match came down to the final frames despite Troup building a 25-pin lead after four frames. In the ninth frame, Troup left a light seven pin, giving Belmonte a chance to really put the pressure on as he stepped up in the ninth and 10th frames. Instead, Belmonte sent the ball wide right and barely got the ball back to the head pin in the ninth frame, leaving the 2-8 combination. He went on to strike out in the 10th frame but Troup only needed eight on his first shot in the 10th to win. 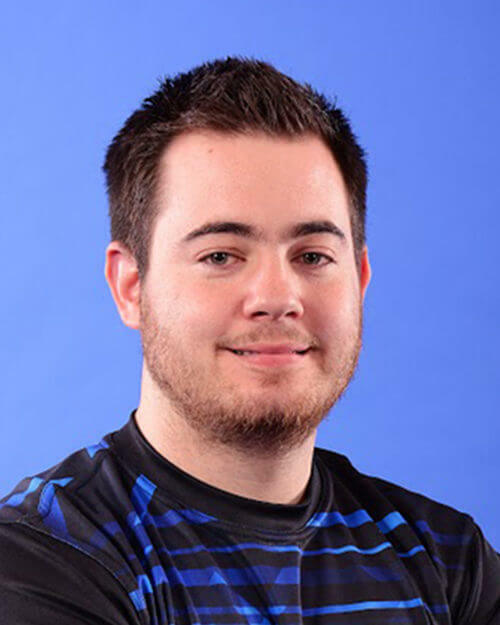 Troup, who earned approximately $16,500 for the win, stepped up and drilled the pocket for a strike and the victory in the final frame to secure the title on his first visit to Sweden. 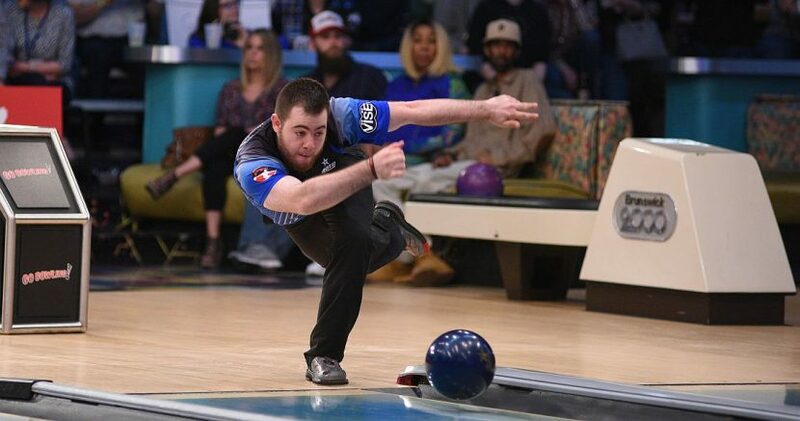 Just like he did in the semifinal, Troup elected to throw a urethane ball – a Storm Pitch Black – in the championship match, while Belmonte decided to hook the lane with a reactive Storm Hy-Road Nano. Controlling the pocket better and covering less boards turned out to be an advantage for Troup as he threw eight strikes, including seven of eight to start the match, in the title bout. Belmonte actually threw nine strikes in the championship match, but a pair of errant shots – a 2-10 split in the fourth and the 2-8 in the ninth – ultimately did him in. 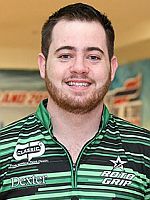 Troup took care of Ireland’s Christopher Sloan in the semifinal, 235-187, after he got out to a big start to the match. 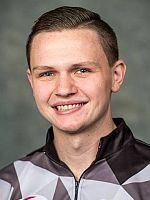 Troup crushed four strikes in a row to open the match and had a 49-pin lead after just four frames as Sloan struggled to hit the pocket. In the sixth frame, Troup left a light 7-10 split to tighten things up a bit but then rebounded with three consecutive strikes to put the match away. Sloan had a better back-half of the match but in total threw just four strikes with one double in the losing effort. 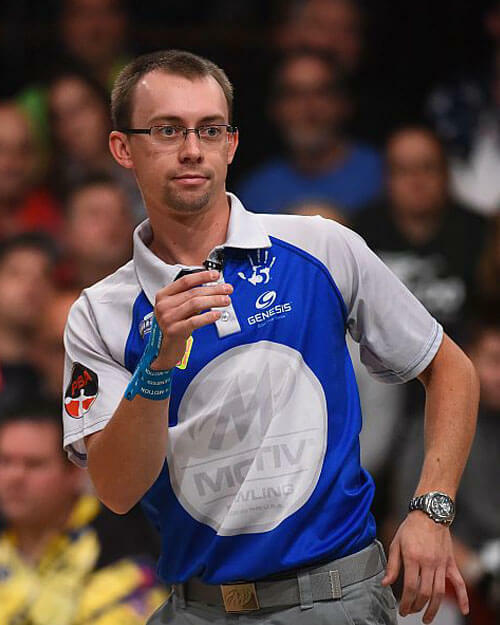 In the opening contest of the stepladder finals, Sloan took down nine-time PBA champion Bill O’Neill, 236-234, in a tense match. O’Neill stepped up first in the final frame and delivered three perfect strikes to put the pressure on Sloan. When it was Sloan’s turn to perform, he delivered in a big way. His first shot in the 10th frame was a no-doubter with all 10 pins back in the pit. The second shot was a little less certain as he had to rely on the six pin to come off the wall and snap out the 10 pin. On his final shot, needing at least nine pins for the win, Sloan again destroyed the pocket for a strike.